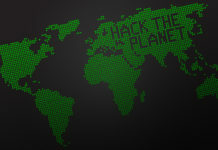 A couple of days back I published top android apps for hacking here. Now we will discuss something similar yet different. It’s about the best apps to hack in-app purchase and get free credits and loots. 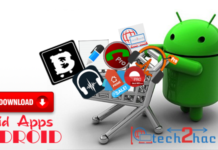 We are all aware of the in-app purchase of android applications. It is something similar to freemium apps. Which allows the user to download the application for free, but for some features or upgrades, you need to pay for it. It can be anything like free credits in calling application or faster upgrades in a game or to remove ads from an application you need to pay extra charges. Lots of people nowadays searching a lot about hacking in-app purchases for clash of clan Android game but is it possible to do so, let me shed some light on this confusing topic and then how you can get free stuff by just using some apps to hack in-app purchase. Useful CMD Tricks and Tips to become Power User. 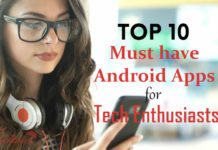 Top 13 Hacking Apps For Android. 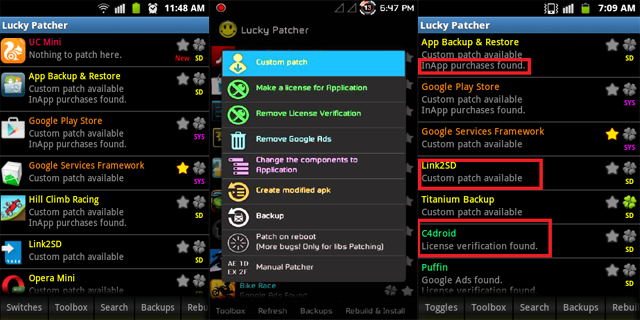 Lucky patcher is one of the most famous apps to get free in-app purchase. 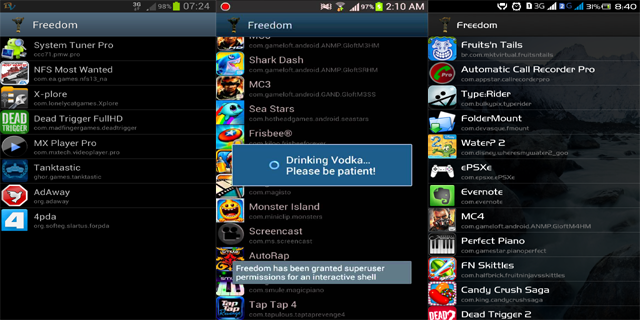 Using lucky patcher you can modify the app permission, remove the ads from an application and much more. Moreover, you can also make a backup of a modified android app and get the new apk file. If you want the old app back, you can even restore the application and hence the previous version will be restored. What I like about Lucky patcher is you can download and use lucky patcher on Rooted and as well as non-rooted android mobile phones. Pretty Awesome! However, Lucky patcher works best and gives you the best result if you have a rooted phone. I suggest you NOT to mode your play store using it because by this you won’t get everything for free. Instead, it may cause some trouble. 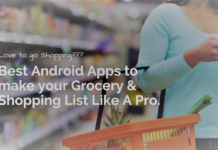 Freedom, as the name, says it gives you the freedom to download any android app’s in-app purchase. By using freedom you can get the in-app purchase of an app for free. You can get the ads free version of an app if it is available and you can even get the upgrades in games using freedom app. 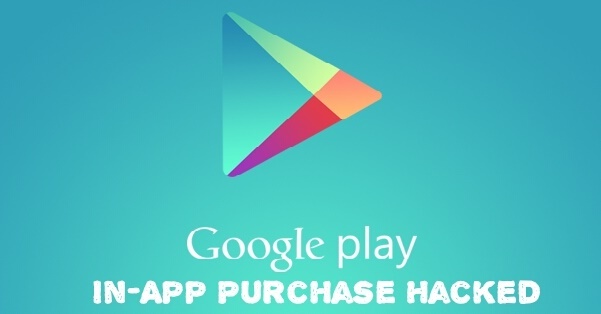 However, your Android must be rooted for using Freedom app to hack in-app Android purchases. 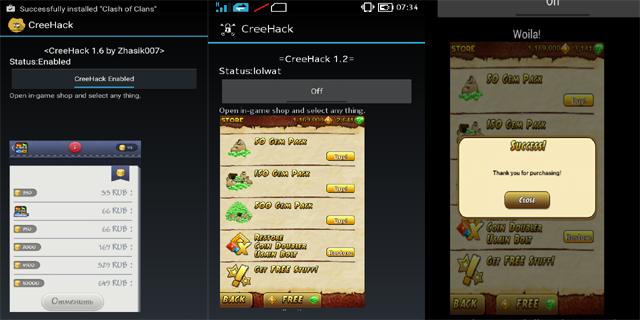 CreeHack is another good application to get the free in-app purchase of any game and update to the maximum level. Many of you are wondering how CreeHack works and which apps it supports yet, Well, It works only on the selected games and not for applications. Most of the popular games can be cracked by CreeHack. However, the list of the games on which CreeHack can be applied is long and all the popular games are on this list. 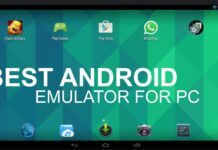 Best Android Emulator for PC to Run Android Apps. So, These are some of the apps which hack in-app purchase to give you the paid apps features in Android and make you feel like a BOSS,Now you can hack any desired app, any feature set, it can be anything like free credits in calling application or faster upgrades in a game or to remove ads from an application you need to pay extra charges. Until then make sure you’ve subscribed to my mailing list to get the notification instantly. Which one is better: Lucky Patcher or Freedom ? both serves different purposes, but if you’re doing the thing which both the apps can do, go with lucky patcher! both serve different purposes, but if you’re doing the thing which both the apps can do, go with lucky patcher! ” Supertipsman special VIP”. Or “Supertipsman ht/ft VIP” ,thank you. look, not every app work for every situation, try other one! I was looking for a working method to hack Traffic Racer and Clash of Clans this method worked on Traffic Racer but didn’t on Clash of Clans, whatever, that for this awesome method. you’re most welcome, keep visiting and share this as many times as you can! Hey dude… I have tried freedom app on my laptop but now i want to use it on my blackberry is it work on the blackberry or not? I was searching for a working method to Hack Android game named Traffic Racer thanks for this awesome method and I was able to hack the game I love. Hi, is there a way to use all the in app purchases from on google account to other account. I am playing war machines tank shooting game. Its an server linked game. I can share one in app purchasr but not the srcond one available. but in playstore a recently updated photo editor called polarr which is one of my favourite have some tools and filters which i couldn’t hack by using lucky patcher please can someone help me to unlock this polarr photo editor to pro version i really need this …. Is it safe to use lucky Patcher.Because Playstore gives a security warning everytime when I Install it. very helpful post. such a great article. I tried using lucky patcher to customize a game king game.but i cant get results..
Hi, great article! But please, could you tell me if it is possibile to hack in-game purchases for Saint Seiya Cosmo Fantasy game and how? Many thanks! But all this not support server games, correctly ?